1. 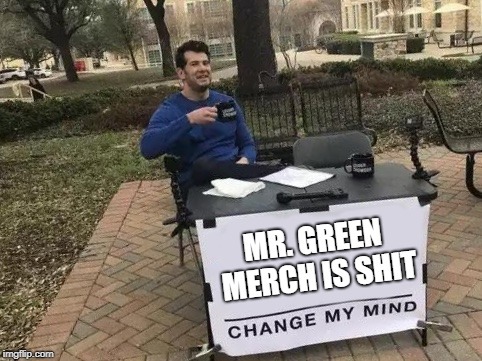 Interested into Mr. Green Merchandise? We will in both and mugs as well. @ArtistA Just started few days ago, give him some time to do more of his work. I mean how will you finance everything? Some new shirts design for today, opinions please! Thanks to @ArtistA all credits goes to him. Forse per il colore in contrasto con la grafica. Maybe for the contrast of the colors with the grafic. In the first place why sell something which literally everyone can make by themselves in their country without waiting and cheaper and better quality. Phone case it is called! We didn't do it yet, so idk the prices either.